"Another troubling aspect of this is that true mortality is more likely to be much bigger, because in one study they actually did the experiment by releasing dead carcasses offshore and counting how many wash ashore. Only 8% washed ashore. So, it is very likely that more than 264 dolphins died in this incident." PERHAPS THOUSANDS. 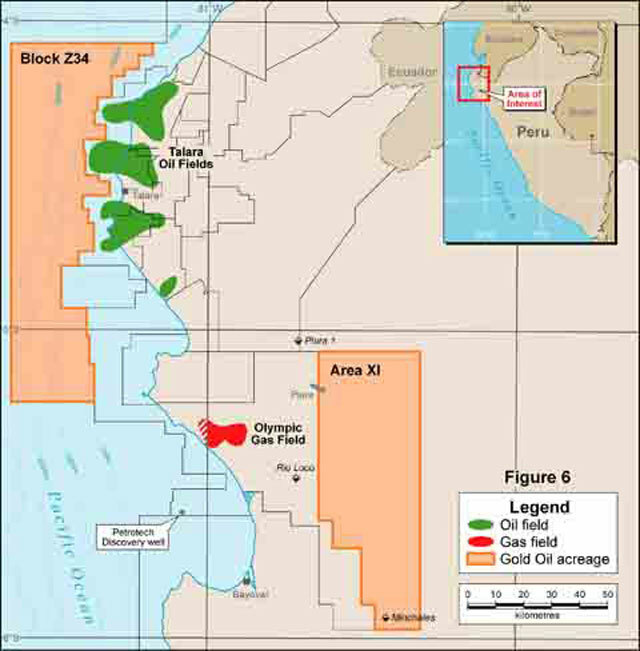 "UP-DATE ON PERU DOLPHIN STRANDINGS"
I did some research yesterday and made some interesting discoveries, for example, that the coastal area where the dead dolphins were found, Chiclayo, is on the southern edge of a major petroleum exploration basin called Block Z34. 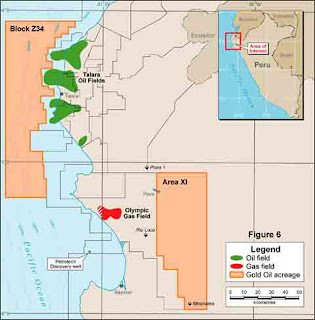 Chiclayo is even closer to a major off-shore natural gas field. The corporations that have been granted permits for exploration and drilling include London-based Gold Oil and the Peruvian corporation Petrotech which is affiliated with BPZ and is believed to be owned now by the governments of South Korea and Colombia. 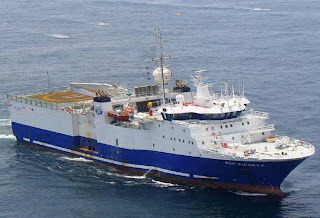 BGP Geo-explorer has been performing 'geophysical exploration' activities in this area over the last year using its 'research vessel' the Pioneer. 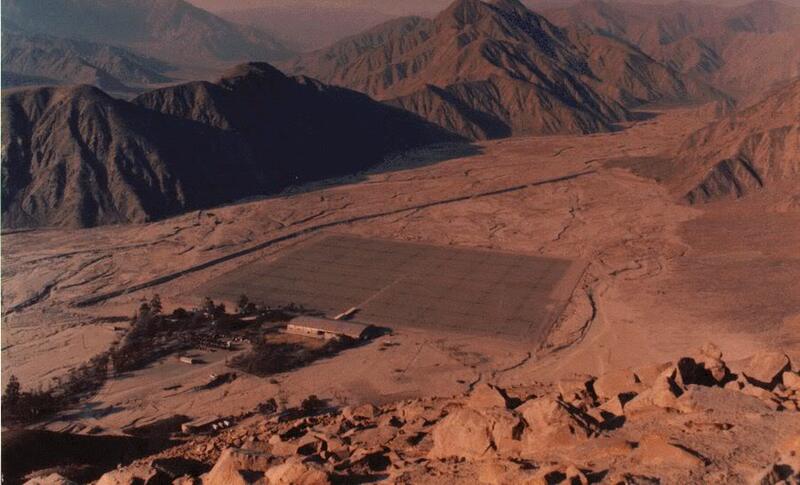 In addition, an extremely large 'ionospheric research facility' exists a few hundred kms inland from Chiclayo at Jicamarca. 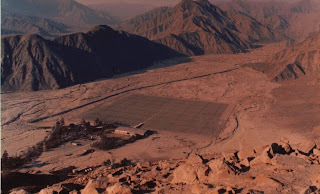 This facility, operated by Cornell University, is VERY MUCH like an older version of HAARP. 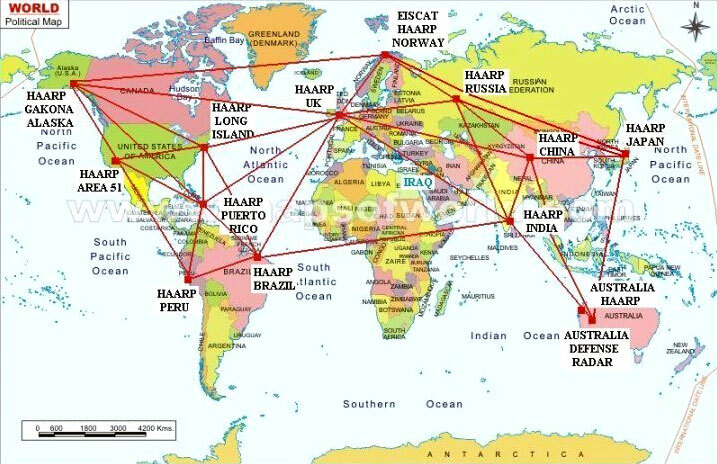 They call it a 'radio-telescope' and indeed, even HAARP can be used for 'listening'. 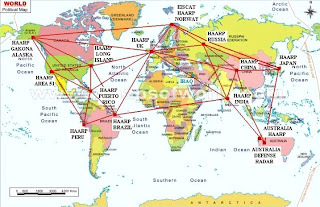 But ANY radio receiver/antenna array can function equally as a transmitter; moreover, it's well known that most if not all of the world's radio-telescope installations function at least in part as ionospheric research instruments, beaming radio/micro-waves in exactly the same way that HAARP does. The implications are staggering considering the possibility of the integrated weaponization of the world's radio-telescope network. This is not at all a far-out idea and is something I'm delving into right now. The bottom line is that these installations are operated by universities and governments, and that very few people would be aware of or 'in the loop' of everything that each facility was involved with. Different research groups each have their own allocated 'blocks of time' on the telescopes, making it a very compartmentalized process. 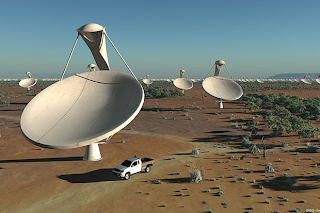 As well, many existing radio-telescopes already have transmitters installed in them. It wouldn't be that hard for a radio-telescope or array of them to be surreptitiously utilized as transmitters without the knowledge or consent of its overseeing institution...or with their tacit approval for clandestine operations...for 'national security purposes' of course. The defence giant has signed a two-year "Statement of Mutual Interest" to support the multinational project, which is expected to cost around £1.3 billion. BAE's engineers will lend their project management skills in exchange for access to the new radio processing techniques that will be needed to sift through the vast amounts of data generated by the telescope. IBM (NYSE:IBM) today announced it has successfully prototyped a new software architecture for automating data management, potentially making it easier for researchers to collect usable information from mega-scale data collection projects like the Square Kilometre Array (SKA) global telescope which aims to address unanswered questions about our universe. BAE, whose director Paula Reynolds is also on the board of directors of Anadarko Petroleum, built the Phase 2 upgrade for the HAARP installation. IBM has been involved with nefarious computational applications since the concentration camps of the Third Reich. "Mega-scale data collection projects" might also include the 'social radar' data mining enterprise currently being developed by DARPA. More on all this as I have time to research it in greater detail. Your blog is really good, congratulations on talking about the issues that really matter for marine mammals. So much destruction of the natural world is currently underway, it is hard to believe. 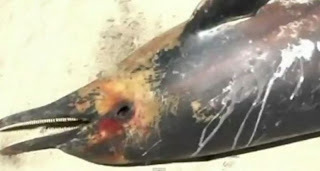 The incident in Peru is very troubling, because of dolphins' numbers. It is hard to believe that fishermen who have limited resources can cause a blast of such magnitude that 264 dolphins washed ashore. Another troubling aspect of this is that true mortality is more likely to be much bigger, because in one study they actually did the experiment by releasing dead carcasses offshore and counting how many wash ashore. Only 8% washed ashore. So, it is very likely that more than 264 dolphins died in this incident. Another problem is this case looks very similar to what was described for the incident on March 4, 2011 where a pod of common dolphins swam towards the Navy's controlled underwater explosion. I attached the abstract for you to read. They had a chance to investigate very fresh specimens while dolphins in Peru are very decomposed. This could have been a very large blast, big explosion, highly unlikely local fishermen could create something like that. Thank you and keep up your good work. We will link to your blog from time to time as we talk about the same issues. One more thing I forgot to mention.There was also a big quake on Jan. 30 in Peru, but it was not offshore one: http://on.doi.gov/xGW0HD . This guy believes that it could have been responsible http://deafwhale.com/seaquake_solution/ but I still have doubts because a) it happened on Jan 30; b) it was inshore quake; c) if it affected coastal bottlenose dolphins why it took so long for the to wash ashore? It sure looks like that something happened way offshore and it took weeks for dolphins to start washing ashore. GOOD RIDDANCE TO WILLIAM ROSSITER OF www.csiwhalesalive.org who today told me to take him off my mailing list as he 'couldn't waste any time.' In soliciting money for his 'save the whales' organization, I take that to mean. See, truth and reality often gets in the way of or proves inconvenient people and organizations whose primary purpose is to get money from the unwitting public. Rossiter's organization states that its purpose is to maximize the "optimum utilization of the whale resources". Rossiter apparently believed Carlos Yaipen's changed story about the fishermen using dynamite and that no oil companies or military activity could possibly be involved. GO UNCLE SAM!